Hi everyone, I hope you have recovered from a most wonderful and festive Christmastime!! 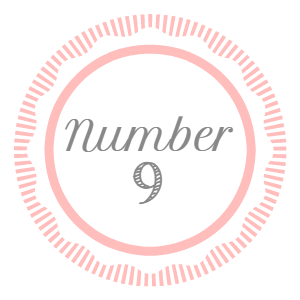 I’m tickled to be joining a fun and talented group of bloggers today as we all count down our top-ten posts for the entire 2014 year. I can’t believe I’m typing that! It doesn’t seem that long ago that 2014 was a brand new year. I’m curious myself to see what the top viewed posts were! I’ll begin with number ten… and we’ll count-down to the very top viewed post last. Just like a real count-down! Teen boys can be hard to decorate for. Mostly, I think they like to have their rooms left alone. My son’s room really needed some freshening up though and after a little nudging from mom, my son surprisingly got pretty into it! Picking out the new elements himself, asking if I could find a set of lockers, and actively participating. 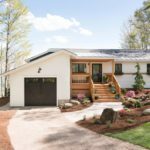 We had a great time working together on this project. 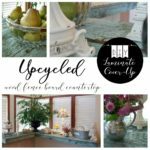 He was really a big help (we flipped two rooms) and it’s one of my favorite room makeovers we’ve completed here at this house! 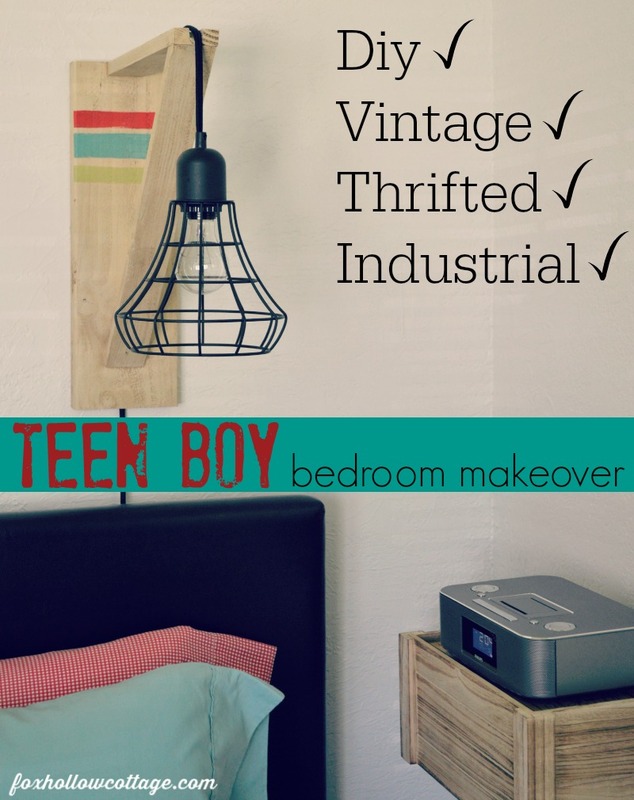 – Interested in seeing some teen boy approved decorating ideas? Click here or on the image below. I wasn’t sure if I should skip over pages that were viewed, as opposed to a specific article, or go to the next most popular post? I figured this is what you were really looking at, so I voted for including the Before & After category that was popular with readers. I know I love to see a good transformation and it looks like you do too! 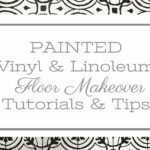 – To see all my Before & After makeovers and projects in one place, click here or on the image below. I guess having clickable menu tabs with a gallery is a good thing. 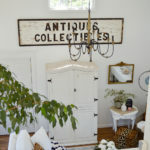 A collection of all one thing, all in one place seems to be appealing! 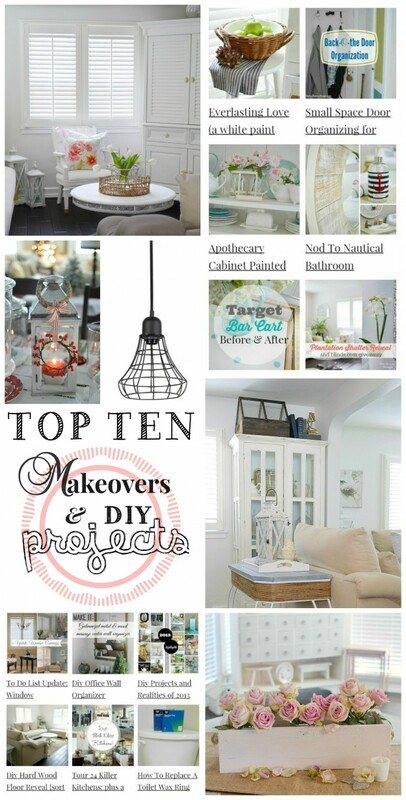 Just like the Before & After page at number 9 above, the DIY Project gallery page was popular and came in at number 8. 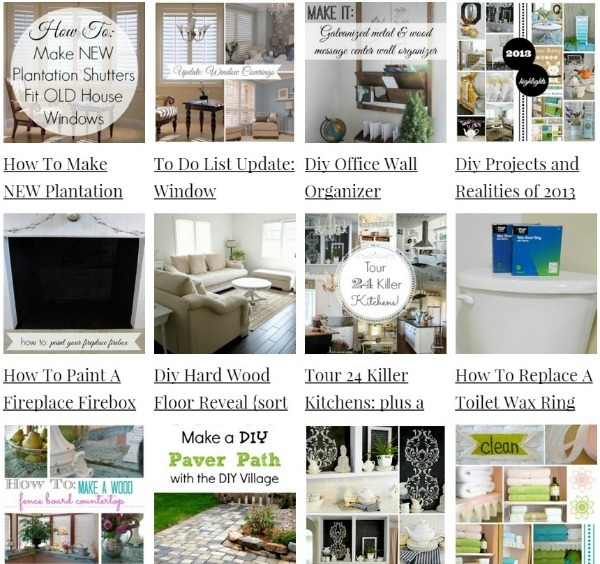 – To see all my DIY Projects projects in one place, click here or on the image below. We got this cool pendant light at Target. We had limited space and I wanted to figure out how to get it to mount on the wall so our son could use it as a reading light over his bed. I grabbed some scrap wood and put together a wall hanger for it in about ten minutes for about two dollars. – Click here or on the photo below to see how you can make one too! Occasionally, I feed my family. I’m far, far, f a r … from anything resembling a food blogger. 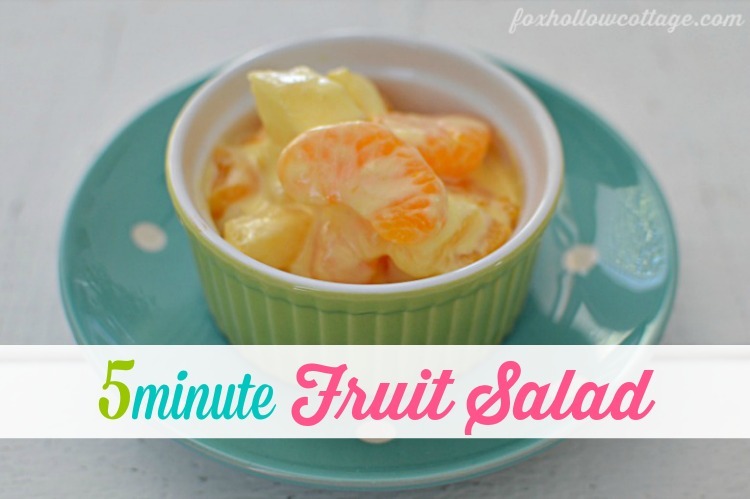 I did share this 5-minute fruit salad though. I’ve never served it that the bowl is not practically licked clean! In fact, I’ve got to make extra-extra so I can send people home with their own supply now whenever I make it! It’s not gourmet, but people dig it. – Get the recipe here or click on the image below and be taken to the article. We all strive to be organized, and this is one of those projects I did after waiting way too long. It’s still in great shape and it’s amazing how once cleaned up, it stayed that way! I do plan to freshen it up and ditch the pink this year though. It was Spring and it didn’t clash with my towels and 20 year old ribbon. (Ha, you’d have to read the post to get that.) It was a zero-budget project at the time though, and I had the pink paint and the get-up-and-go to get it done. I dared not wait! 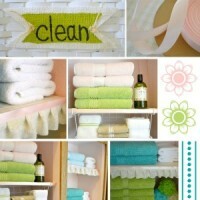 – Zero budget, use what you’ve got Linen Closet Makeover. View it here or click the image below to visit the article. There is nothing quite like paint to take something from “meh”, old, dated, sad… or plain found-by-the-side-of-the-road to ravishing again! I don’t know anyone who isn’t trying their hand at the painted furniture makeover trend. I feel that this will continue, and I think it’s more that a trend, it’s just smart… on so many levels. 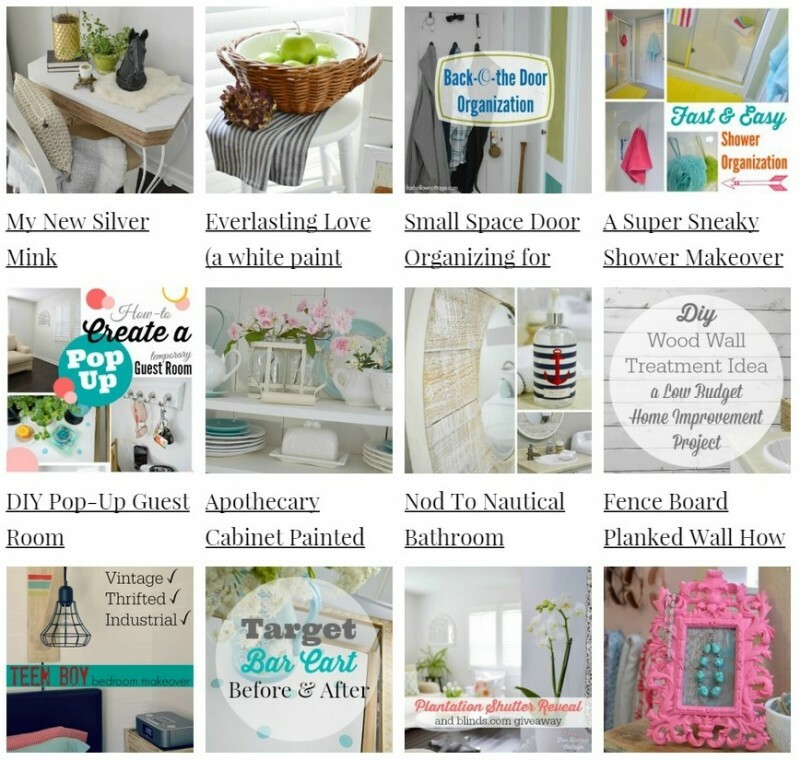 – You can find some of my very-truly, beginner friendly painted furniture makeover right here or click on the image below to go to the article. We planked a wall last year. Along with everyone else in the free world. For some reason, me thinks it was the cheap again… as to why it was so well received. This was a simple project, really. We did it in a way that required the very least amount of cuts, and used fence boards. No standing at home improvement store X waiting for someone to cut sheets of plywood into 47 gabillion pieces. – To find out how you can get your plank on too, click here or on the image below to be taken to the project. 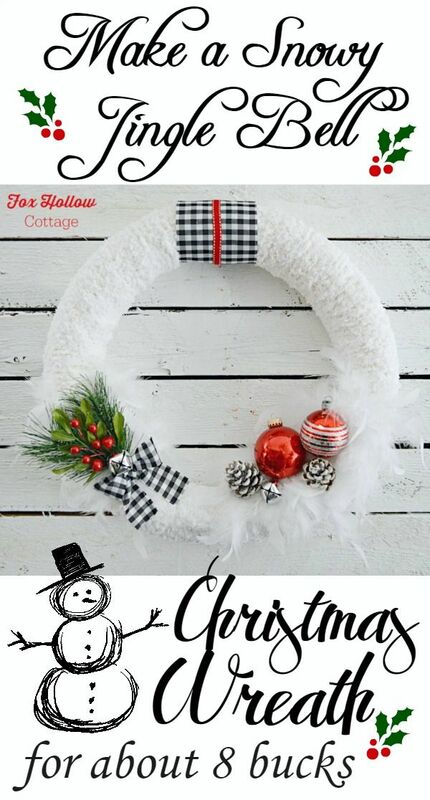 Christmas was a really busy time at Fox Hollow Cottage, and my Snowy Jingle Bell Wreath tutorial got lots of attention. I think it was the cheap… or maybe it was the easy? Wait… I know, it was the easy… no the cheap, yeah… it had to be the cheap for sure! – If you missed it, and you’d like to see the simple tutorial, click here or on the image below to visit the article. My number one tells me we are all crazy for Christmas… and a good deal! The most loved and most viewed post for the entire year, thanks to a huge surge in November and December, is Debbie from Debbiedoo’s and I’s first ever Dollar Tree Christmas party. – You can click on the image below to visit, or click here and see what the fuss is all about! 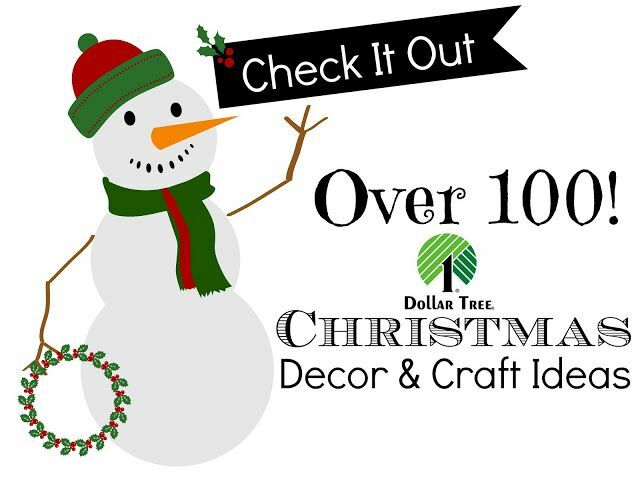 Christmas decorating on a budget is serious business and Debbie and I. along with loads of you, all adore the Dollar Tree, and a good deal in general. Frugal friends untie! I also loved giving away $50.00 to help make someone’s Christmas a little more merry! This was our 3rd year hosting a Dollar Tree party and we look forward to co-hosting for many years to come! Thanks for stopping by and strolling down the lane of 2014 with me! I hope you’ll join me in 2015 – I’ve got lots of project ideas on my to-do list. If you want to see more Top-Tens, check out my friends! « A Very, Merry Christmas to You! All of your projects are wonderful, Shannon, and the way you present them is amazing. I love everything (pinning away) and I’m going to add the wreath to my Christmas list for next year ~ so dang cute! Wow! You have been busy! Love all your projects, including that plank wall. I did that in my son’s bedroom makeover. Wishing you a very Happy 2015! 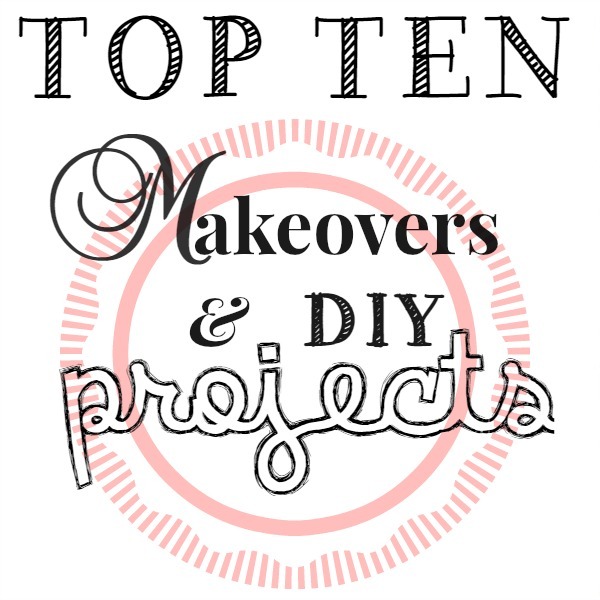 So many great projects Shannon… I think your plank wall and your industrial light are my FAV! Can’t wait to see what you create in 2015 friend… Happy New Years! So many great posts Shannon!! I love that plank wall though!! Everything is just gorgeous Shannon!!! Wishing you and your family a wonderful 2015! Same to you and your family!! 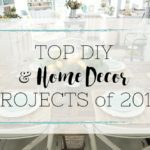 Shannon, you have done so many amazing projects this year! 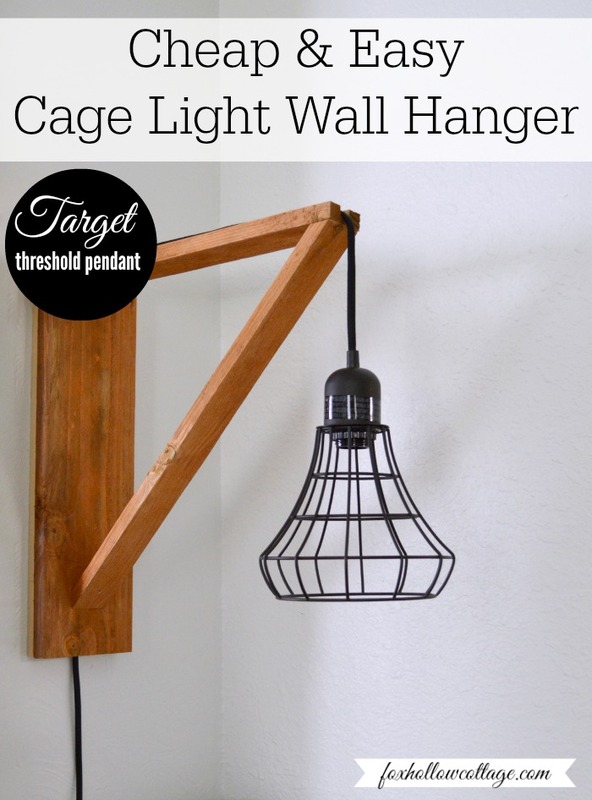 The cage light wall hanger is especially gorgeous! Happy, Healthy New Year to you! Thank you! I wish I had bought 2 more, would love a set for my room too. Wishing you all good things in 2015!! You know, I was going to do galvanized metal, but the budget won out. This was so much cheaper (and easier)! 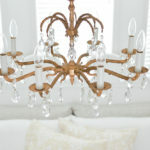 I love it, but like to do different things, too bad money is so often an issue. Boo-Hiss. lol. Happy New Year!!!! I love them all! I decided against featuring the pages that were top viewed but maybe I should have! I love your plank wall so much! 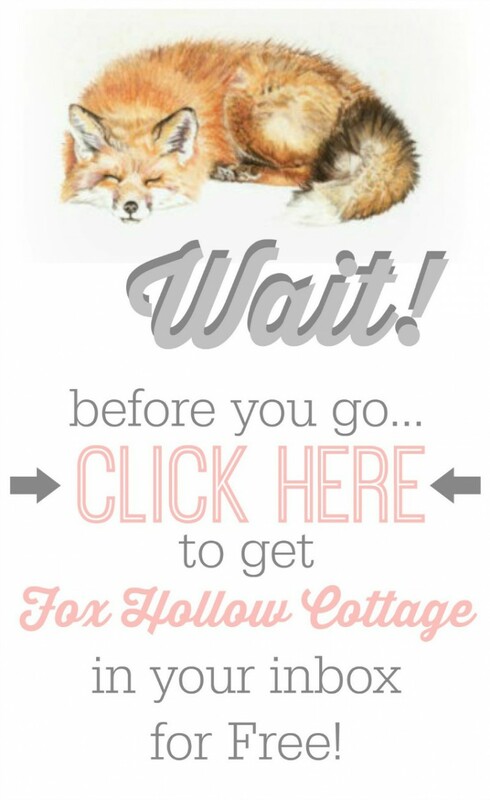 It’s been a beautiful amazing year at Fox Hollow Cottage 🙂 I love all your projects! There’s one of them that I’d like to tackle myself, your planked wall! It is amazing and the price is right! Thanks to you and Debbiedoos for the amazing Dollar Tree party, I look forward to it! Can’t wait to see your 2015 list! I loved all you projects this year. In fact, your linen closet organization inspired me to do my own! Happy New Year.